Easy access from across the region. Set in 70 acres of beautiful Yorkshire Countryside, yet conveniently located between Leeds and Bradford, our students benefit from our rural location with the advantage of having major cities on their doorstep. 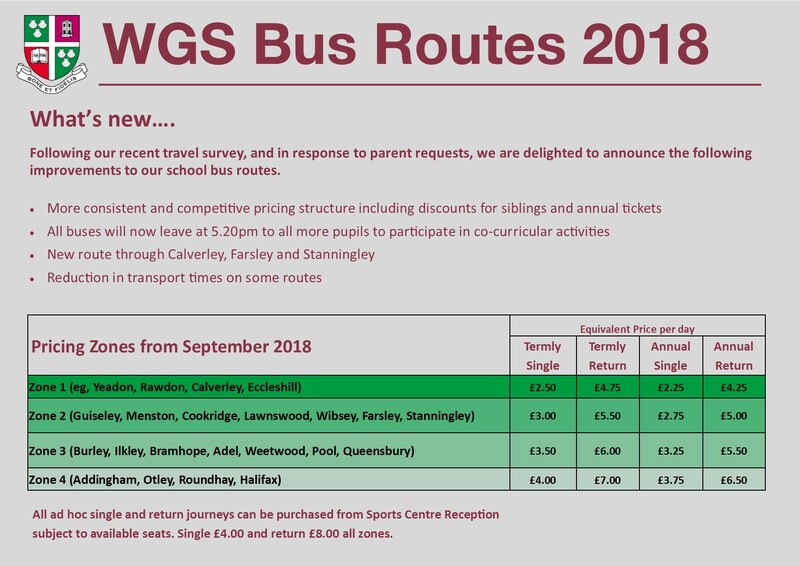 Bus routes to Woodhouse Grove. Following a parent transport survey in 2018 we have reviewed all our bus routes, timings and prices to provide the most efficient way to transport our pupils to and from school. One of the main changes following this feedback is the need to change the times of our afternoon bus service to 5.20pm (from September 2018) to allow all our pupils to participate in our extensive co-curricular programme. For pupils travelling on the bus who are not taking part in co-curricular activities, there will be access to our library and ICT suites in order to complete prep or carry out extra academic work. 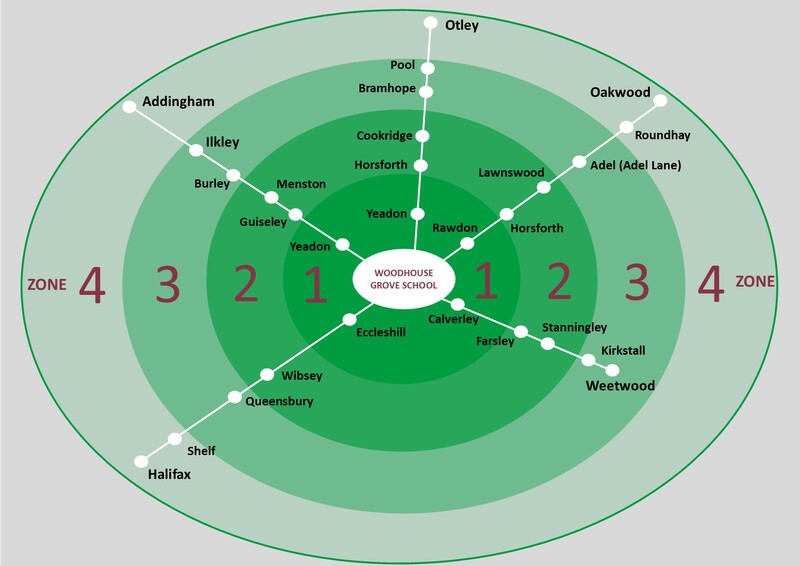 The school is serviced by the Airedale and Leeds-Bradford Line and is easily accessible from the Wharfedale Line with a change at Shipley station. The timings for all morning buses have been planned to ensure that pupils arrive in good time for the school day which commences at 8.35am. Bus passes can be purchased termly or annually, regardless of whether you are buying a single journey or five return journeys. Purchasing a termly or an annual pass offers savings compared to ad hoc tickets, with an annual pass attracting a further discount (over 5%). Termly and annual passes are non-refundable, if however your child is in Y11 or Y13 we can discuss reduced rates for exam leave. All our buses are operated by Fourway Coaches and all vehicles are fitted with vehicle tracking, seatbelts and drivers are equipped with mobile telephones.